Yesterday, Google Launched Music Beta, a cloud-based music service that lets you stream all your songs from any Android device. Here’s how to make it play well with others, too. Yesterday, Google Launched Music Beta, a cloud-based music service that lets you stream all your songs from any device. Well, any Android-based device, at least according to Google. But as we learned after a day of playing, Music Beta can work just as well without Android–and that may just be where Google has a leg up against Apple and iTunes. Music in the world of Apple operates in a tightly controlled ecosystem. 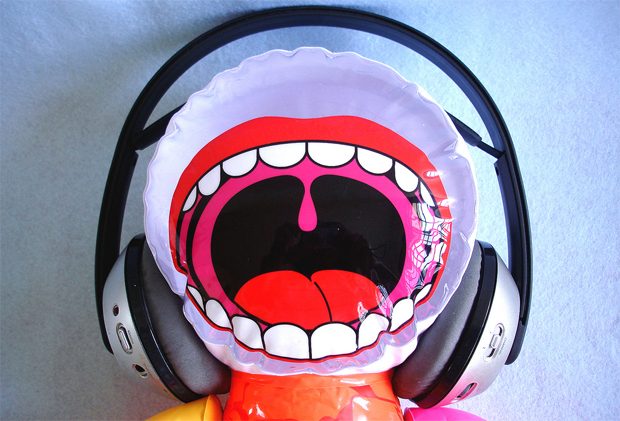 Users can play music on their computer, directly from a hard drive, and sync songs to iPhones and iPads. In other words, Apple’s approach to music is tied to the ball and chain of physical files: When it comes to your computer at work or a friend’s mobile device, your music library is inaccessible without taking some annoying steps that involve USB cables and gigabytes of disc space. Google Music Beta, on the other hand, is entirely in the cloud, accessible from anywhere once your library has been uploaded online. Take your iPhone, for example. Just pop open your Safari browser, head to music.google.com, and hit Play. Voilà: Google Music on iOS. But that’s not all. 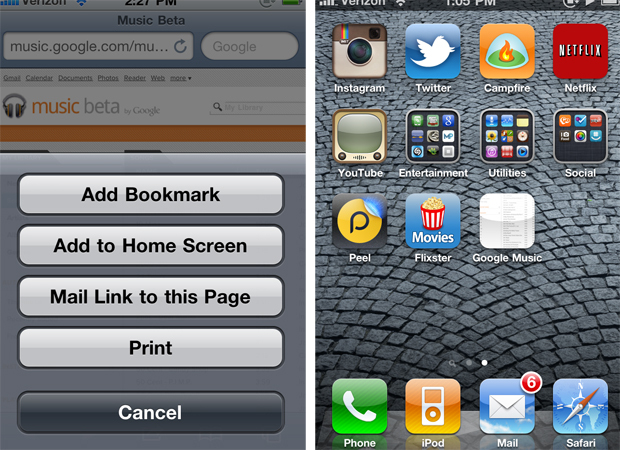 Safari on the iPhone has background privileges, meaning Google Music will continue to play even when Safari is minimized. All the controls–hitting Play or clicking Forward–work seamlessly (after the clunky process of hitting play) with Google Music, even the buttons on your iPhone headphones. 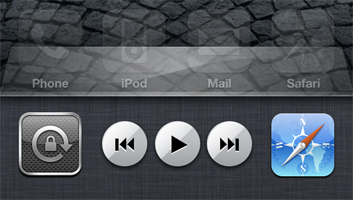 But don’t stop there: With Music Beta open in Safari, hit the “Add to Home Screen” button. Suddenly, Google Music is an app on your iPhone, just as instantly accessible as your iPod and iTunes apps (We’re guessing Google will come up with a way for Music Beta to show up as an icon–a sort of faux app–any minute now). The point isn’t to say that Google Music Beta will replace listening to music on your computer or iPhone right away. But just look how instantly accessible the product is on a wide range of devices–and it was only launched yesterday. Imagine the service’s potential once Google irons out the kinks and makes the process as seamless as iOS’s app experience. It’ll become even more of a threat to iTunes. That is, until Apple can manage to launch their own cloud service.